The RiverSpa is a fine place to relax - welcoming, quiet and the perfect retreat from the daily hustle and bustle. Whether you are travelling for business or leisure, take the time to relax your body and mind. 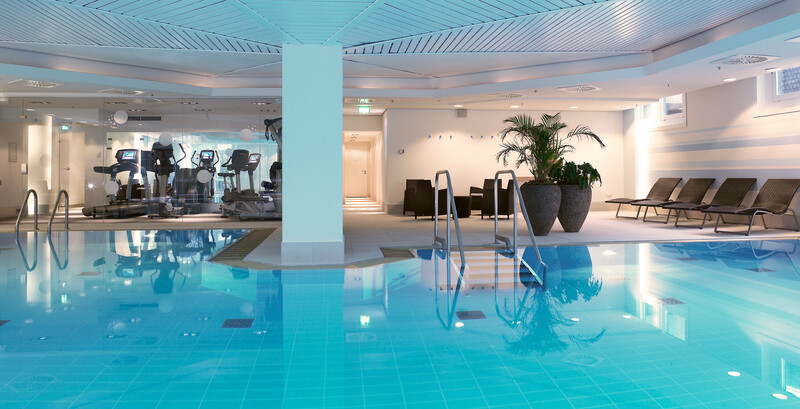 Dive into the 110 square metre swimming pool, use the latest fitness equipment, unwind in the sauna and solarium, or book an appointment for a professional massage with one of our specialists. Our front desk team will be happy to direct you to the nearby jogging route along the Rhine. Take one of our Vitality Guides with you and discover the local sights. Opening hours spa: daily 6 a.m. to 11 p.m. Opening hours sauna: daily from 6 pm to 11 p.m. Please ask at the reception or our house keeping staff, if you want to use the sauna earlier. Heating up will take about 15 minutes.